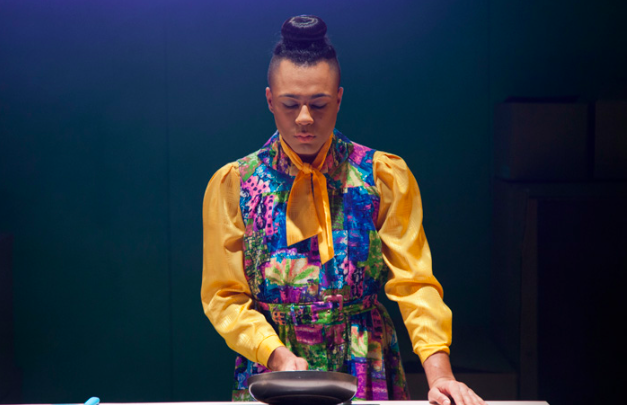 Travis Alabanza is a performer, writer and theatre maker. 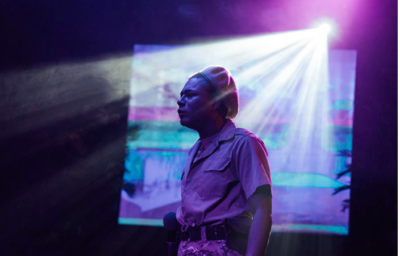 Their unique mixture of performance, poetry, style, political views and risk taking performances has given them a unique placement both nationally and internationally. In 2016/17 they became the youngest recipient of the Artist-in-Residence at The Tate Workshop Programme, and starred in Scottee’s theatre production Putting Words In Your Mouth at The Roundhouse. 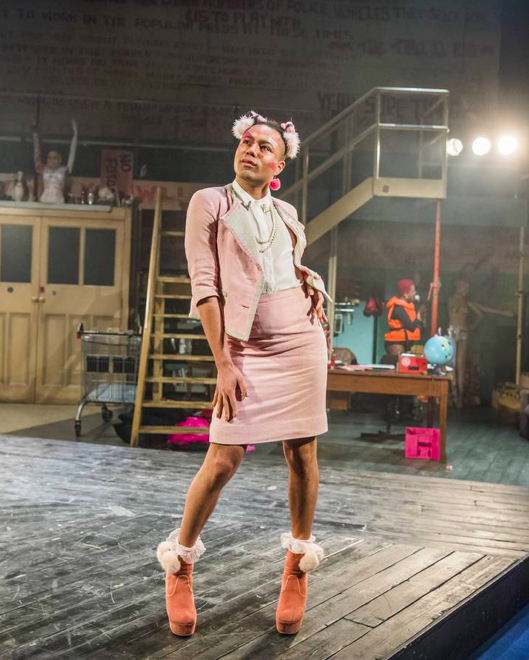 They then played Amyl Nitrate in Chris Goode’s adaptation of Derek Jarman’s Jubilee to great acclaim at the Royal Exchange Theatre, Manchester and Lyric Hammersmith, London. They have performed in venues such as V&A, Tate, ICA, and Barbican – and had their work featured in The Guardian, BBC, Huck Magazine and more. Travis recently appeared in Dear Elizabeth at the Gate Theatre, Notting Hill and is currently performing in The Ridiculous Darkness at The Gate Theatre.